Styled with hadden skirt . 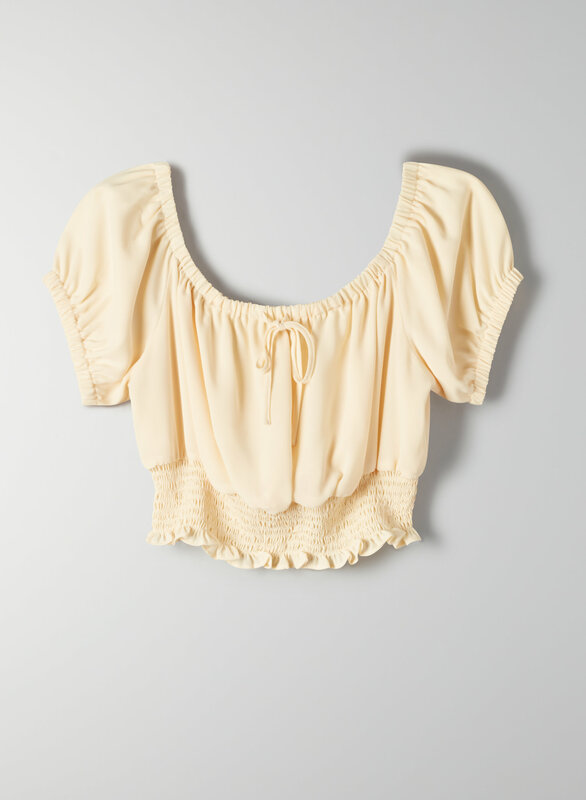 This is a cropped top that can be worn on or off the shoulder. It's made with a fluid, silk-like fabric that's wrinkle resistant and easy to care for.